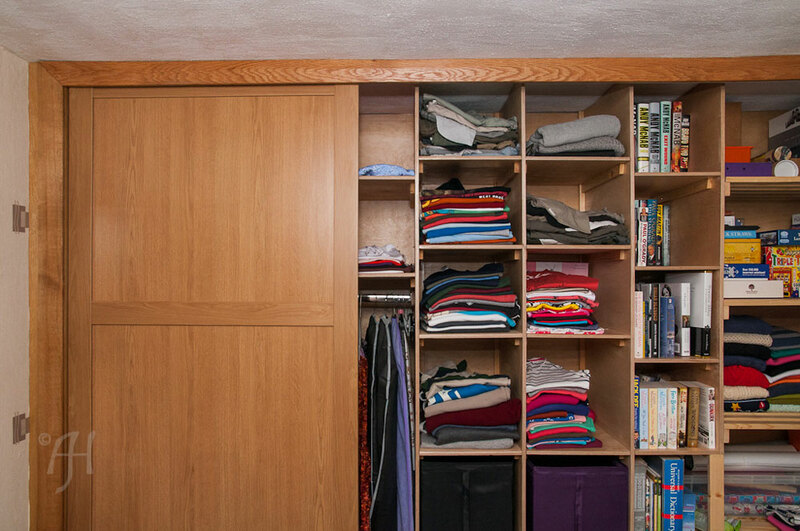 Four large, full height Oak effect sliding doors create the facade for hiding away all those clothes and other items needing to be stored away out of sight. Sliding behind each other to reveal the customised internal shelves. The lower sections of square shelving are sized to fit the IKEA boxes. While the upper ones are smaller to accommodate t-shirts and jumpers. To the right, just on the edge of the picture, you can see the start of the slatted shelves which run all the way to the window wall. 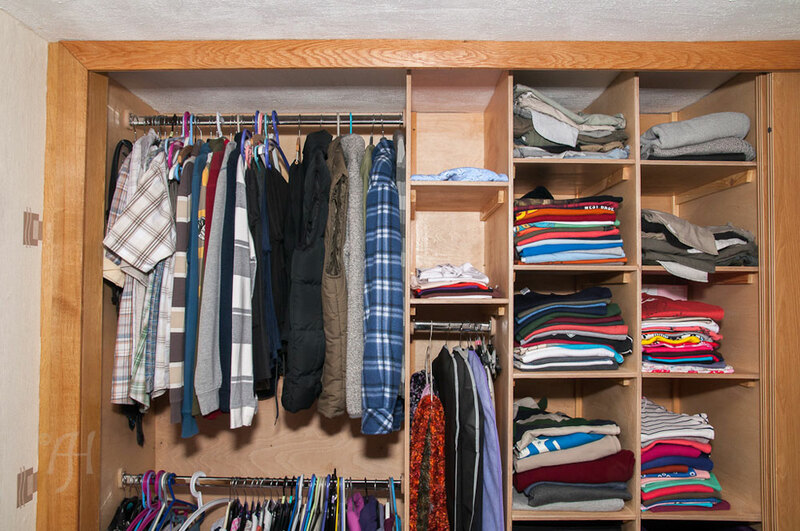 Two clothes hanging rails are installed, one above the other for a his and hers arrangement. Along with a small rail to the right of those for longer garments such as dresses. 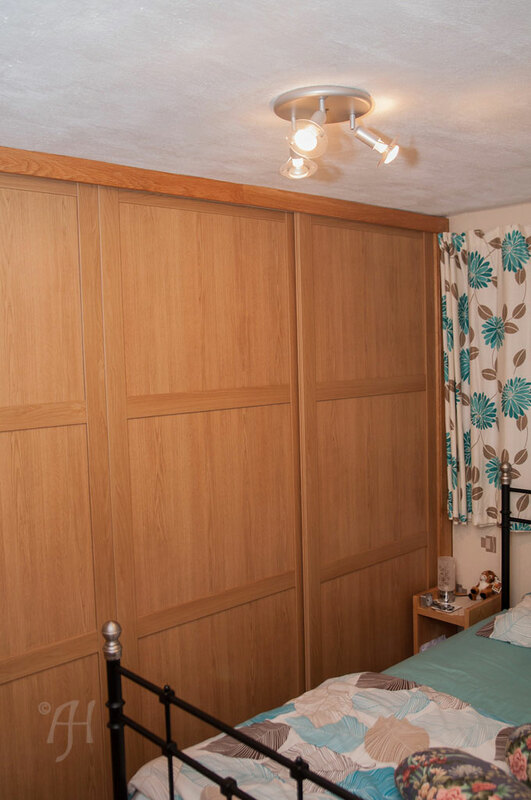 The oak architrave that runs along the ceiling and down the walls either side, covers the framing required to create the correct size opening for the doors and hides the track that the doors slide on.